As the hour grows late in Korea, SK Telecom acts like any doting parent: it tucks in its mobile network and puts it to bed for the night. Korea’s biggest mobile operator is working with Swedish networking company Ericsson to build a sleep mode into its 3G and 4G networks that effectively shuts down excess capacity at times when people are talking, texting and surfing the least. The companies are in the test phase with the new technology, which they’re calling Smart Wake-Up. They’re starting with small cells, those tiny base stations placed in crowded dense areas of the network where demand for voice and data is the highest. 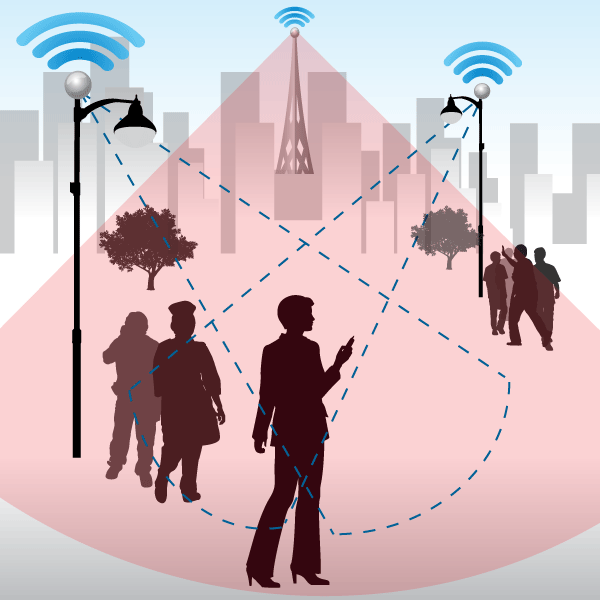 At night those small cells go on siesta, but they’re still aware of their surroundings and will switch back on when a device enters their coverage zone. The idea, though, is that the big umbrella macro-network transmitting can handle most of the carrier’s nocturnal needs. If it sounds like this technology will produce some big energy and operational cost savings for SK Telecom, then you wouldn’t be wrong. SK estimates it can reduce power consumption at napping cells by 21 percent. But there’s another big incentive to turn off your unused cells at night: you get a better performing network. One of the guiding principles of cellular networking is the concept of spectrum re-use. Only a single transmission can only occupy the same airwaves at any given location and time, so to create more capacity and support more customers, carriers re-use the same frequencies in many locations. Essentially they’re creating cells. If you need more capacity you add more cells to the grid, slicing and dicing your spectrum to an ever greater degree. The problem is there are diminishing returns to this kind cell splitting. Every time you add a new cell to a network you add interference, especially at the edges where cells meet. The more cells you have, the more points of overlap exist where signals get fuzzy and connections weak. So when SK Telecom shuts down its small cells it’s eliminating many multiple points of interference on its network. Sure, it reduces the overall capacity of the network, but in the dead of the night SK doesn’t need it. Meanwhile, those night owls who are still surfing and texting as they go find their download speeds improve and their calls becoming clearer because a network less interference is a better performing network. SK estimates Smart Wake-Up will increase raw throughput a mobile device by as much as 18 percent in the wee hours. Such speed is nothing to scoff at, but more importantly this technology is part of greater trend we’re seeing in mobile networking as we move toward the next generation of 5G cellular technologies. Carriers are looking to optimize their networks for the conditions they face at any given moment.